The body and mind are designed for dynamic movement. Virco’s collection of healthy movement product incorporates the benefits of this movement into any environment. Growing minds benefit from dynamic movement. Research is now confirming what many of us known intuitively: moderate movement can improve focus and concentration. Sometimes the simplest thing can help, like standing up or bracing your legs on a footrest. As children’s brains develop, sensory systems that respond to movement help cultivate the fine motor skills that are at the foundation of learning. These sensory systems help coordinate the eyes, hands and bodies of children as they move and grow. "Healthy" movement facilitates such growth, while helping children feel active and alert – even while seated. Sitting still is not the same as paying attention – people of all ages tend to zone out or fall asleep when inactive. As a result, we all naturally engage in dynamic sitting, which involves moving our arms and legs or adjusting our position for comfort in order to stay alert and engaged. Modern classrooms offer more potential points of focus than in the past. From teachers to electronic whiteboards, collaborative pods to tablets and traditional notebooks, students face more demands on their attention than ever before. Given the pace at which technology and curricula are changing, the wisest furniture choice is often the most flexible. 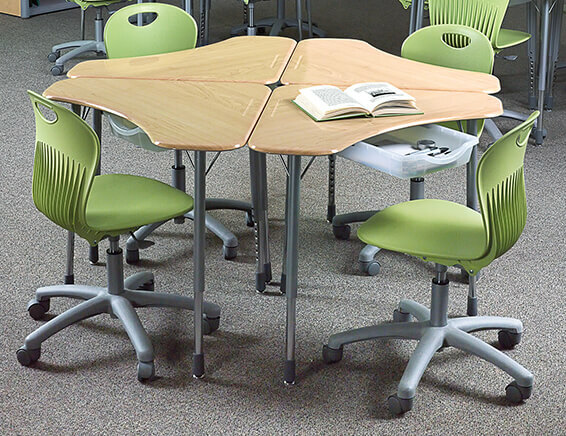 Rockers combine gentle movement and flexible support to help children channel excess energy into classroom endeavors. Ergonomically designed with gentle, flexible support, Virco's Zuma®, Sage™ and Analogy® Rockers encourage healthy movement and a moderate range of motion. 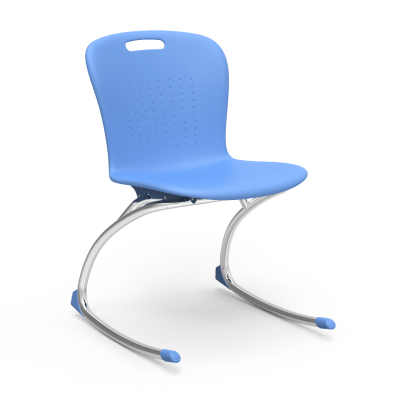 Perfect for classrooms, libraries and other educational environments, these chairs can help turn disruptive movement into healthy movement through the power of rocking. 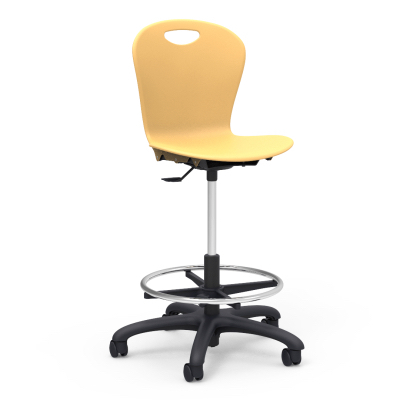 Fit for the classroom, office or commons, our adjustable-height task chairs offer a range of motion at any height. Available in virtually every Virco series, task chairs' freedom to swivel, adjust and roll provide a comfortable foundation for healthy movement. For the laboratory setting, Virco takes tasks chairs to new heights. Combining the benefits of a task chair with the ingenuity of a foot rail, Virco's lab stools allow for healthy movement at any height. 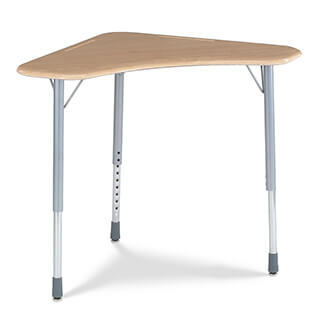 Virco's industry-leading classroom chair and desk lines provide educators with an array of furniture solutions for creating a flexible learning environment that supports healthy movement and collaborative learning. Virco's Zuma® and TEXT® student desks help influence the physical environment of the classroom and stimulate student interaction. The desks are shaped to be arranged to support collaborative learning groupings or readily aligned in rows for individual learning. "We have been using ZUMA rocker chairs at our school for three years now. There was an immediate increase in student engagement and a decrease in students wanting to leave the room or get up and move around the classroom. The students absolutely love using the chairs because of their need to "move." Students are more focused in class and as a result are experiencing more academic success. Classroom management problems have also decreased since we started using the ZUMA rocker chairs. Not only have we noticed an improvement in student success in school but we have also noticed that adults benefit from using these chairs. As we scan a room of adults during a meeting we immediately identify those who need the motion in order to remain focused on the tasks at hand." "Virco's ZUMA line has been a perfect fit for us. ZUMA rocking chairs serve as our standard classroom seating. Our students benefit from the extra movement and gentle range of motion provided by these rockers, which help them maintain higher levels of attentiveness throughout the day. ZUMA rockers are not just for students with attending needs; they are for every child!" "After years of studying brain based-learning, I have found the product that can help children! ZROCK chairs allow for constant student motion (which improves brain stimulation, focus, and therefore learning) without disrupting the class! No more chairs tipping over or scolding children because they are always moving. This product really works!" Virco is committed to keeping abreast of research and evidence that will help us to provide the best possible options for students and teachers. The following FAQs provide a summary of some of the research and concepts that are guiding our efforts in providing options for healthy movement in the classroom. 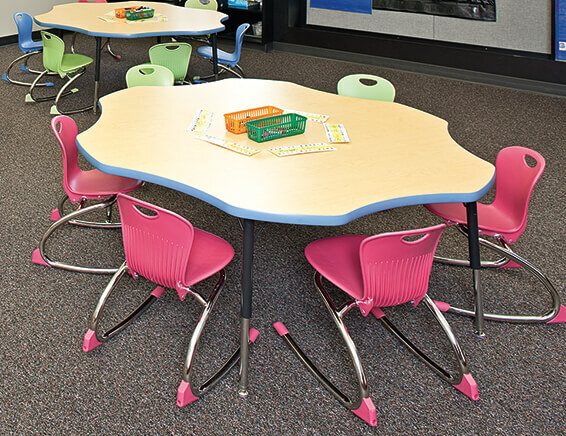 Virco's industry-leading classroom chair and desk lines provide educators with an array of furniture solutions for creating a flexible learning environment that supports healthy movement and collaborative learning. Discover more 21st Century Classroom Furniture that allows ergonomic movement for improved comfort and concentration with the link below.